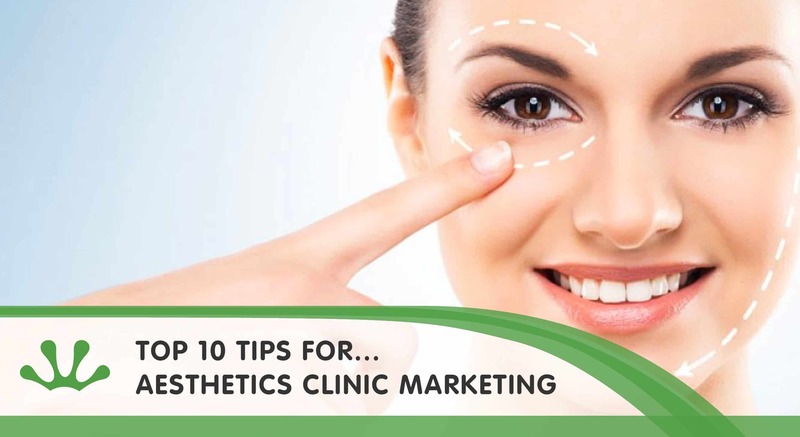 Whether you wish to use traditional marketing methods – in home marketing, publications, leaflets – or more tech-savvy techniques such as blogging or local search engine optimisation, the key to successful Aesthetics Clinic Marketing is to know your audience. In knowing the target customers for your Aesthetic Practise, you can establish what your strategy needs to be, and what material will most catch the eye. It is imperative you learn to relate to your audience, to be striking, memorable and enticing. Whatever treatments you offer, there is growing interest in non-invasive cosmetic procedures and you need only seize the growing markets. Psychology has proven people retain information better when they are entertained or stimulated. The use of stories, of anecdotes using past patients may help them absorb all the crucial facts about your services, their effectiveness and past customer satisfaction. While also being encouraged to further your relationship, perhaps through a consultation. Keeping the story light-hearted, humorous and relatable is deemed to get the best results. The use of a blog is a strong marketing tool because it is interactive, colourful and offers short and sweet material. Blogs are accessible almost anywhere with smartphones and tablets, so building a loyal visitor base for your page will directly translate into new customers. Based on the interests of people that have consulted with you or sought your services, you may message or call them personally to inform them of newly available treatments relevant to what they’d initially contacted you for. This strengthens the customer -aesthetician bond and casts your practice as client-orientated. Hiring a decorator or simply working to improve your office’s appearance and comfort will send a positive message to all those that walk in, which is an easy way to attract more clients and keeping the ones you already have. Creating a strong brand is a long-term marketing technique, but it is the most reliable way to invite clients and even media attention. This is the easiest way to ‘invite yourself’ into your target customers’ homes, by exposing them to the quality of your services in the comfort of their own home, office or in the car. By speaking in your community, perhaps at local council events, you become the go-to aesthetician, known to be in touch with ‘his or her people’. You also depict yourself as a relatable doctor, which fulfills the ‘human appeal’ side of marketing. Through good public relations, you get access to more events, media coverage and self-promotion opportunities. Either hire a professional to handle your public relations or get training on how to do so yourself. By hiring a SEO expert, you maximise your chances to appear on the front pages of search engines. Furthermore, you cast your business as ‘popular’ and ‘reliable’ by making more publications that concern it available on the net. This form of internet marketing is self-sustaining, as when more people access articles regarding your treatments, more people share them on various platforms with their friends or own audience. This technique seems straight-forward but need not be overlooked. A strong, information-riddled newsletter provides existing customers with exciting reasons to come back for more procedures or consultations. This may be the best way not to lose clients to concurrence.